More about Marimekko Nimikko Ivory / Black Bath Robe Getting out of a hot shower on a cold, winter morning suddenly doesn't seem so bad after all. 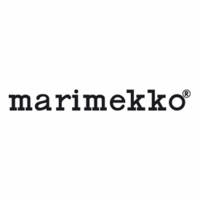 The Marimekko Nimikko Bath Robe is made from fluffy and absorbent 100% cotton terry to keep you dry and warm post-bath. Waist ties ensure a snug fit, and a loop by the tag makes it easy to hang on an over-the-door hook when not in use. The classic black and white stripes bring style to your lounging, and also make this handsome number the perfect holiday gift.